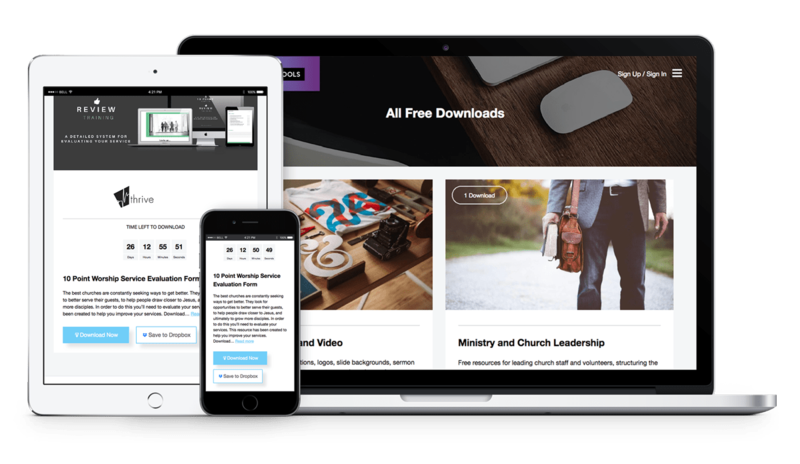 A resource-sharing platform built for ProChurch. This site allows vendors to get warm leads at a low cost and customers to get free resources. 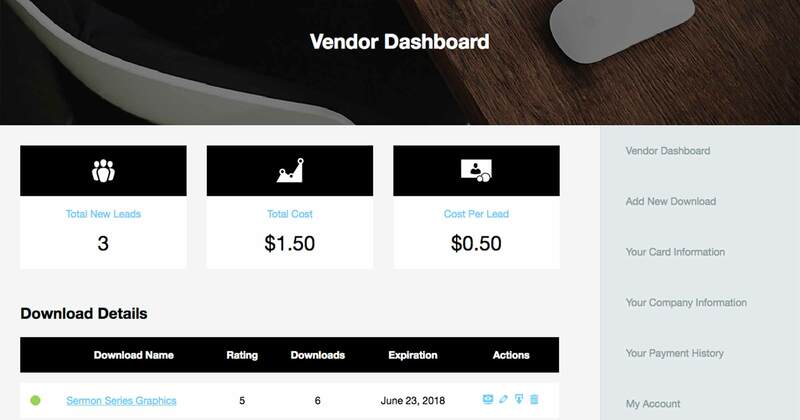 Vendors can receive leads’ information immediately via a webhook or manually by downloading a CSV. Customers can rate resources to encourage others to download them as well. Includes a frontend vendor dashboard to add/manage resources, company/card information, payment history, etc. Makes extensive use of the WordPress REST API for slick frontend functionality. Uses the Stripe API to bill vendors weekly for the leads they received (originally included different price tiers based on number of downloads).